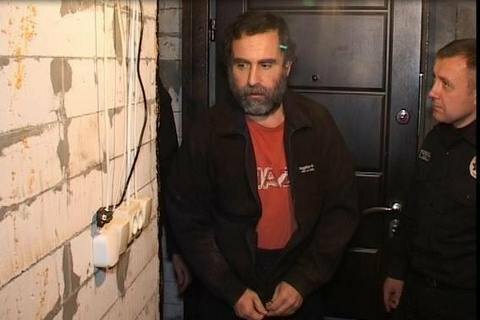 He has been held in a specially equipped bunker in Kyiv Region. The Kyiv regional police have found the chief of the Ukrzaliznytsya state railway company's energy department, Valeriy Lyudmyrskyy, who was kidnapped eight months ago. Interior Minister Arsen Avakov said the kidnappers demanded a ransom of 10m euros for his release. Lyudmyrskyy was found last night at a private house in the village of Fastivets, Kyiv Region. He was held in a specially equipped clandestine bunker, the police reported on 27 March. The victim said he was beaten during the kidnapping but has not been subjected to physical torture ever since. Lyudmyrskyy is in hospital and, according to doctors, his life and health are not at risk. The police detained a Russian citizen from Dagestan and a citizen of Ukraine on suspicion of complicity in the crime. Law enforcers are searching for the mastermind and the customer of the crime. According to investigation, the mastermind and members of his group legally arrived in Ukraine in 2015 and illegally stayed in the country for more than two years. During the implementation of their criminal plan, they recruited a citizen of Ukraine and talked him into converting to Islam. They used him to buy a house in the village of Fastivets in Kyiv Region and equipped the property with a two-chambered hiding place for the long-term confinement of hostages. Over the period of 2015-2016, the group has committed 12 abductions in Kyiv Region only. They aimed for wealthy people demanding huge ransoms from their families. "Judging by the extensive and thorough preparation and the equipment of the bunker, the organized crime group engaged in systematic kidnapping and illegal detention of people for the purpose of receiving ransoms," Avakov said on Facebook. The National Police are checking the identified participants in the kidnapping of Lyudmyrskyy for connections to the known international criminal ring. Police asked the Security Service of Ukraine (SBU) to check whether the suspects have any relation to Islamic terrorist groups. Lyudmyrskyy was kidnapped while he was walking his dog on the evening of 18 July 2016. The criminals shot the dog and at gunpoint forced the victim into their car. Later, the kidnappers got in touch with the family and demanded a 10m-euro ransom.